Thousands of handmade poppies are have gone on sale today (Friday). The poppies were made by people across the world for the Warwick Poppies 2018 community project. The project was made up of more than 60,000 poppies and was created to mark 100 years since the end of the First World War. Two poppy sales will be held from 10am to 4pm today and tomorrow (Saturday) in St Mary's Church in Warwick. All money raised will go to The Royal British Legion Poppy Appeal and St Mary's Church. For more information click here. Gill Benson and Carol Warren from the Warwick Poppies 2018 committee. 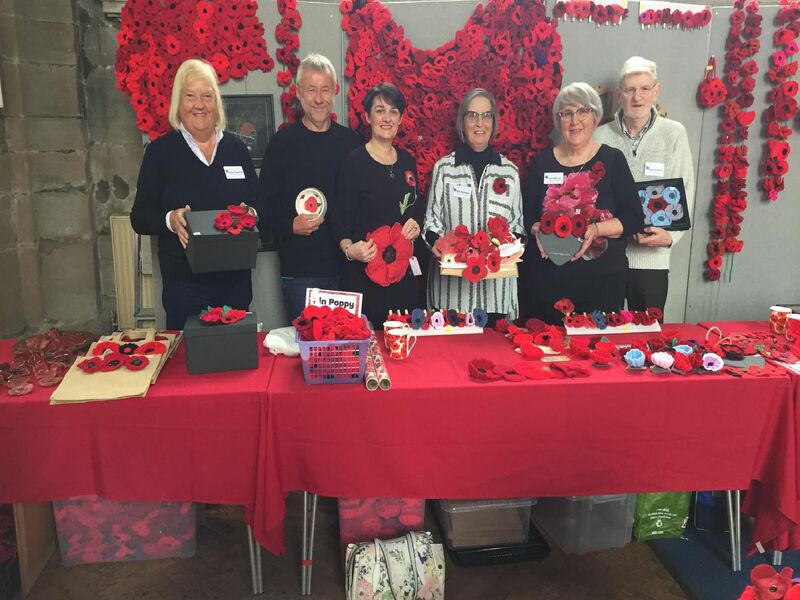 Gill Benson and Carol Warren with some of the poppies that are being sold. Some of the thousands of poppies on sale. Some of the items for sale at the poppy sale.